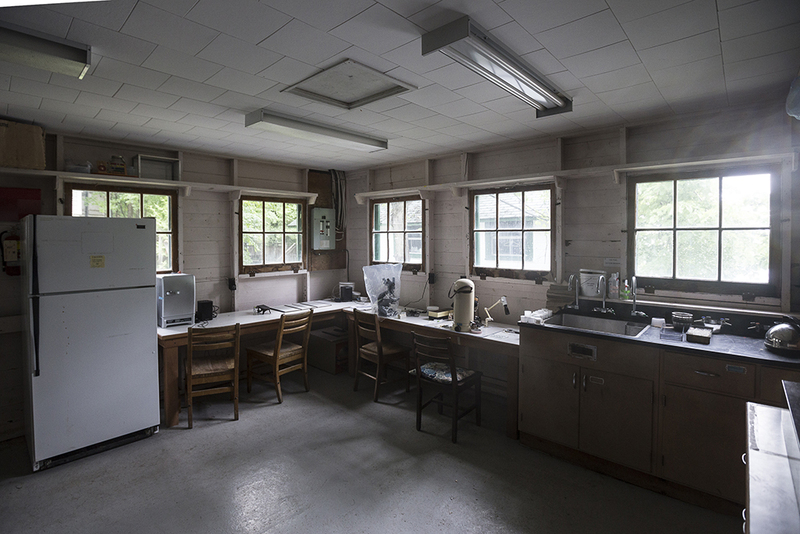 The Queen's University Biological Station offers diverse and well-equipped living accommodations and labs. The Raleigh J. Robertson Biodiversity Centre is the core of operations with two floors of common area. The top floor has a large dining room that can comfortably fit approximately 75 individuals at a time. We have kitchen with cooking staff who provide buffet-style meals for users from late April April to September). At other times visitors may use kitchen facilities in our 'White House' to prepare and store their own food. The Centre also has a large seminar room for teaching and presentations, WiFi, and a GIS lab. Our Jessie V. Deslauriers Centre for Biology contains the Jack Hambleton Library that houses most of our reference collection and provides an excellent meeting space and classroom, and also features the Fowler Herbarium with over 140,000 plant specimens from Ontario and the Arctic. 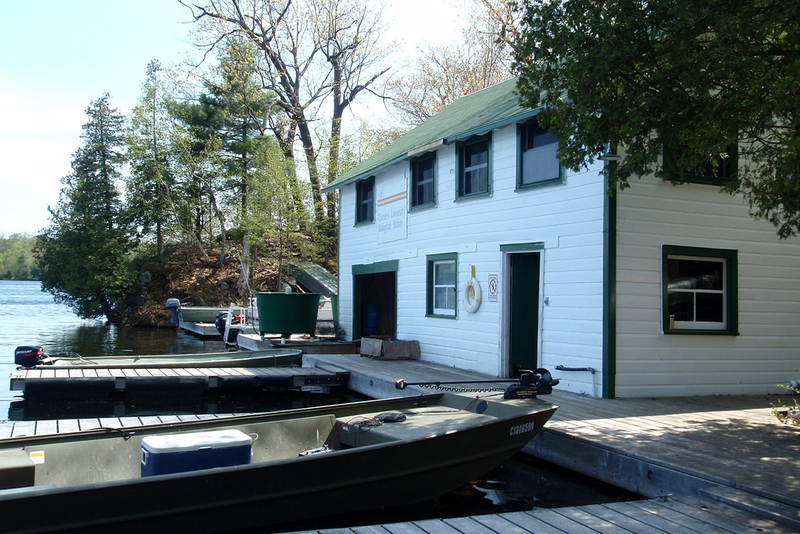 The QUBS Boathouse provides access to Lake Opinicon and provides users with canoes, flatbottom Jon boats, utility boats, and pontoon boats (only for licensed operators). 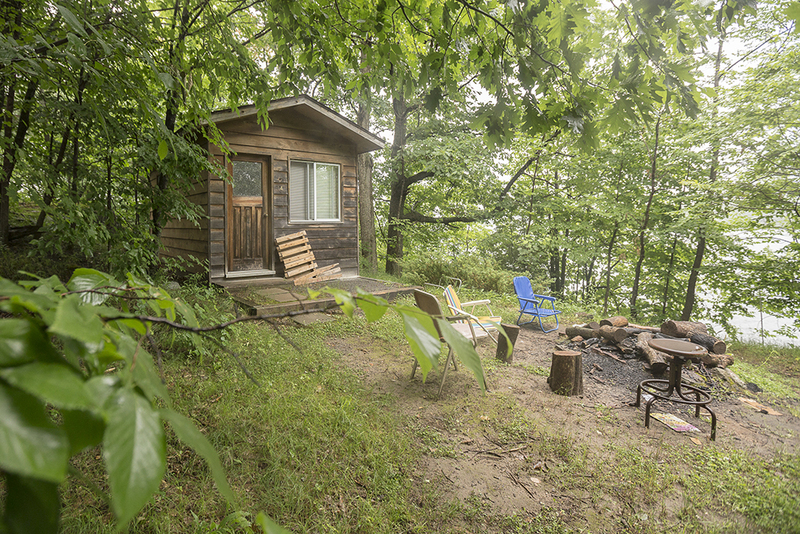 Sleeping accommodations include dormitories with one or more bunk beds in a room, one room cabins, larger cabins or cottages with several rooms, a kitchen and living space. These range in price, the lowest being for dormitory rooms usually occupied by field assistants and the highest price being entire furnished cottages, usually rented by principal investigators and family. Lab space also varies. Some labs occupy an entire floor of a building and others have limited to a bench within a shared lab room. These labs are housed in multiple buildings, varying from simple class-like rooms with no water, through full wet labs with bench space and sinks, to four-season, insulated spaces with water and compressed air.